The Fair Trade Association of Australia and New Zealand (Fair Trade Association) is a member driven not-for-profit organisation. Our members support the global Fair Trade Movement seeking to challenge conventional trade by placing fairness in prices and wages, improved market access, and poverty alleviation at the core of international trade practices, both in our region and beyond. We engage with and support local efforts to promote our growing network of endorsed Fair Trade Communities: councils, universities, workplaces, faith groups and schools who have demonstrated their commitment to Fair Trade. 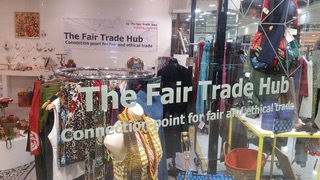 We also recognise and promote products showing the Fairtrade Mark (managed by Fairtrade Australia and New Zealand), are network members of the World Fair Trade Organisation (WFTO) global founders of the 10 Fair Trade Principles and manage our own endorsement system, Fair Traders of Australia (based on the 10 Principles of Fair Trade). Our guiding beacon for the Association is our Vision. The Fair Trade Association is the peak agency supporting the growth of Fair Trade in Australia, New Zealand and the Pacific. Our everyday work of the Association is guided by our Mission. delivering market access of fair trade products and services through co-ordination and support in campaigning, education, policy, advocacy, endorsement and monitoring. being recognised as the Australia, New Zealand and the Pacific’s leading authority on fair trade. Our passion for change is inspired by our Purpose. To lead and grow the Fair Trade Movement to create a more just and equitable world. The Executive Committee is made up of professionals with extensive experience in the Fair Trade space. They are passionate about ethical consumerism and improving the lives of the people around them. They meet regularly to discuss the direction and goals of the Fair Trade Association. In order to maintain transparency, the Fair Trade Association publishes it's Annual and Financial reports. If you would like to know more about our progress, you can download and read about them here.